Lavatec Laundry Technology adds to Service Dept. Beacon Falls, CT – December 16, 2013 – In a continuing quest to provide greater value to its customers, Lavatec Laundry Technology is expanding the Service department. 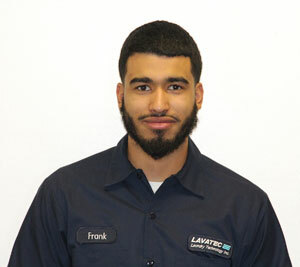 The newest face to join the company is field service technician Franklin Frances. Mr. Frances has several years of manufacturing experience, most recently working as an assembly and field service technician at Ward Leonard Electronics. "As an industry leader, we have made a substantial commitment to adding to our workforce and providing greater customer assistance," said Tom Washbrook, Vice President of Operations for LLT. "Franklin represents new blood that not only is good for Lavetec Laundry Technology but for the industry as well. He’s energetic, has a can-do attitude and we’re glad to have him join our team."